The smell of hay and wood, the feeling of a breeze across the skin, and the sound of the earth crunching and snapping with every step—If you have ever been horseback riding in the countryside, you’re familiar with these sights and sounds. But not too many are as familiar with the hard work and ingenuity behind the crafts that have made owning and enjoying horses both feasible and artful. The farrier and the saddler are two ancient and fascinating trades that have been essential to horse riding and ownership since the dawn of mobility, supporting each other and working side by side throughout the centuries. 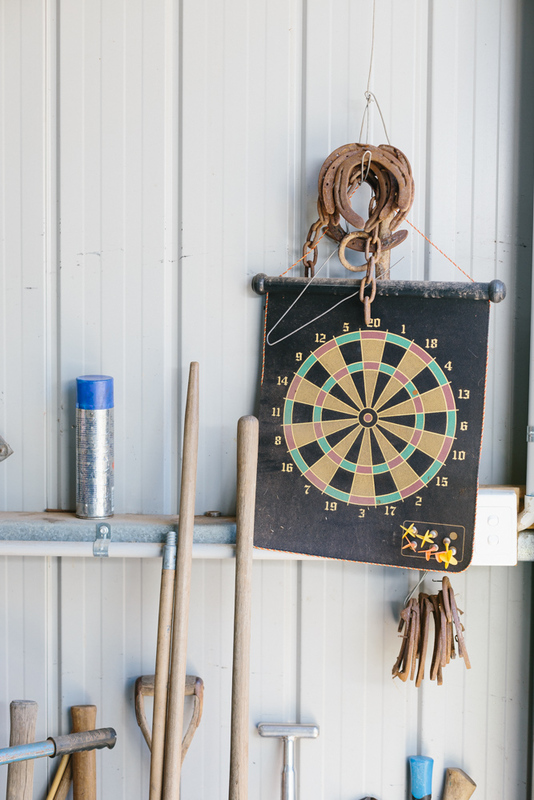 Tony Blanchard, Australian farrier (horseshoe maker) and founder of Farriers Down Under, knew since his early childhood that working with horses was his passion. “Horses are in my family and in my blood; farriery was the natural progression from my passion of riding and handling horses.” This humble and backbreaking trade requires great physical effort and perseverance. “No foot, no horse” says an old proverb that Tony considers a mantra for horseshoeing. The process of shoeing the horse is so much more than just working with metal, fire, and hammers. It is a personal process—a connection between the farrier and the horse as he or she cares for the well-being of the animal, calculating precise measurements for each shoe. “Horses are athletes and their bodies need to be balanced from the ground up in order to perform at their peak and be comfortable,” says Tony. 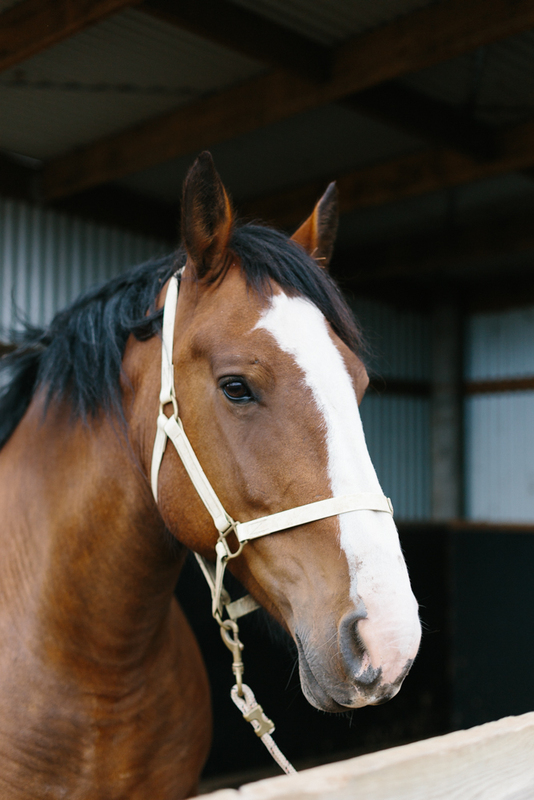 Just as horses need to be balanced from the ground with shoes in order to perform at their best, the saddler is the fundamental element for riding. Richard and Lucy Barrack of Barrack Saddles know just how important the saddle is, and produce beautiful one-of-a-kind pieces from their shop in Metcalf East, Victoria, Australia. Both having grown up in Melbourne, Richard and Lucy left the city to follow their dream of moving to the country and living/working with horses. 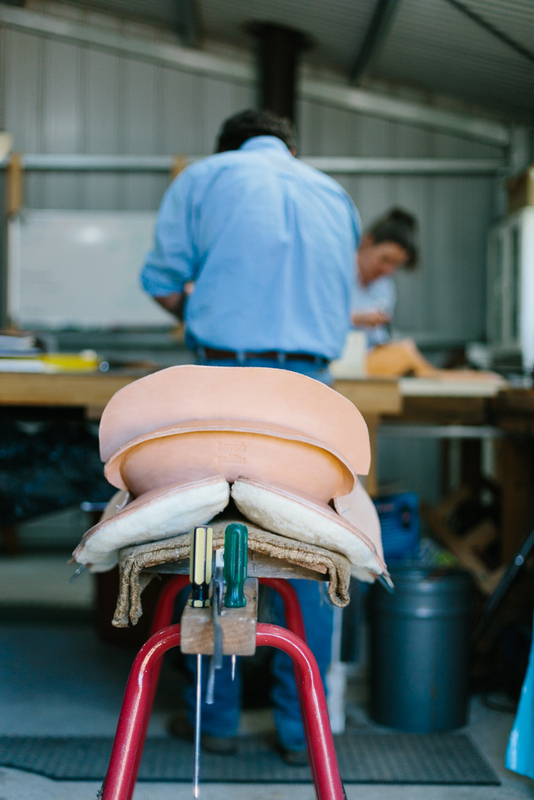 After traveling and working throughout rural Australia in farms and stations, they became fascinated with the craftsmanship and importance of the saddle, eventually enrolling in a saddle-making course. What started out as a few commissions from friends, turned into their now full-time profession. Marnie Hawson is a freelance photographer from the Macedon Ranges just outside of Melbourne, Australia, who specialises in food, interior and lifestyle photography. This feature is part of her series of maker interviews entitled "An Honest Trade". To view more artists, visit her website here, or pick up a copy of Trouvé Volume 03 to read the full editorial.